GORGEOUS TURNKEY HOME WITH UPGRADES GALORE!!! 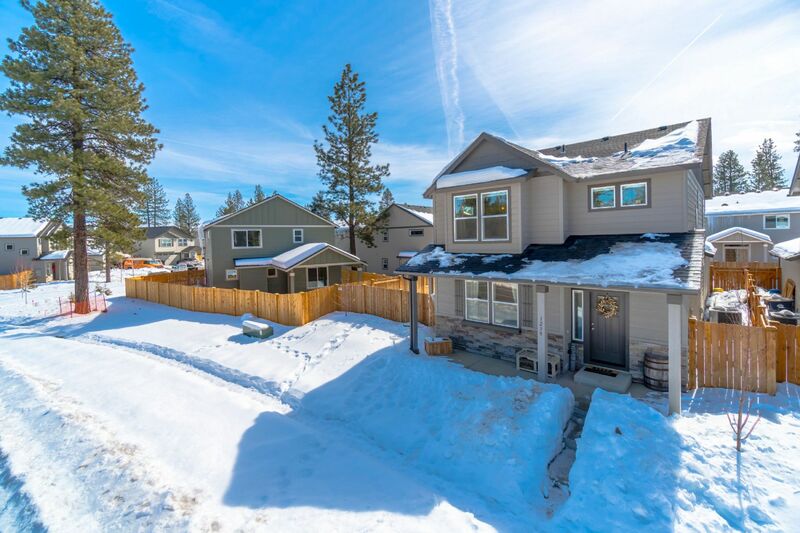 The efficient floor plan and custom details of this like-new home are noticed immediately as you enter the welcoming living room; boasting a statement mantle with gas fireplace, stone surround, and built-in shelves. Gorgeous light and bright kitchen have white shaker cabinets, quartz countertops, gray subway tile backsplash, copper accent hardware, upgraded light fixtures and faucet, farmhouse sink, and stainless appliances including a gas range and a HUGE walk-in pantry and beautiful hand scraped flooring. The dining room leads out to a large covered patio and fenced yard. A half bath and den/office complete the downstairs. Upstairs you find 2 sizable bedrooms with a full bath and laundry room. This home finishes with a beautiful master bedroom with extra windows, his and hers closets, and master bath with dual vanities and a walk-in shower. Wood wrapped windows and craftsman trim throughout. The charming front porch & alley access 3 car garage offers amazing curb appeal and ample storage. Walking distance to phenomenal schools, restaurants, Rays grocery store, and a little community playground, and only minutes to all that downtown Sisters has to offer! This is a must see!